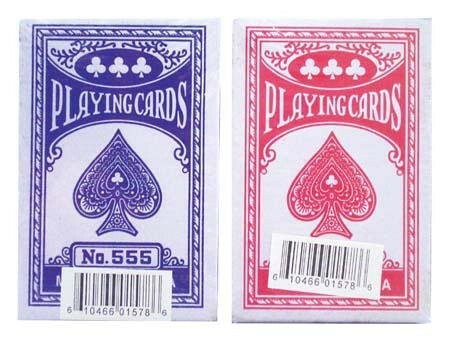 These are standard size, 52 card playing cards. 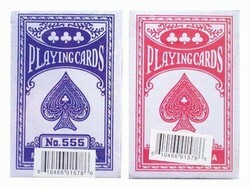 Each box of 12 decks comes with 6 red decks and 6 blue decks of playing cards. I am very satisfied with the product, the speed I received it and the condition it arrived in. I would highly recommend this company!